Last month my son and I headed to Birmingham for The Seventh Wave Festival of Electronic Music. 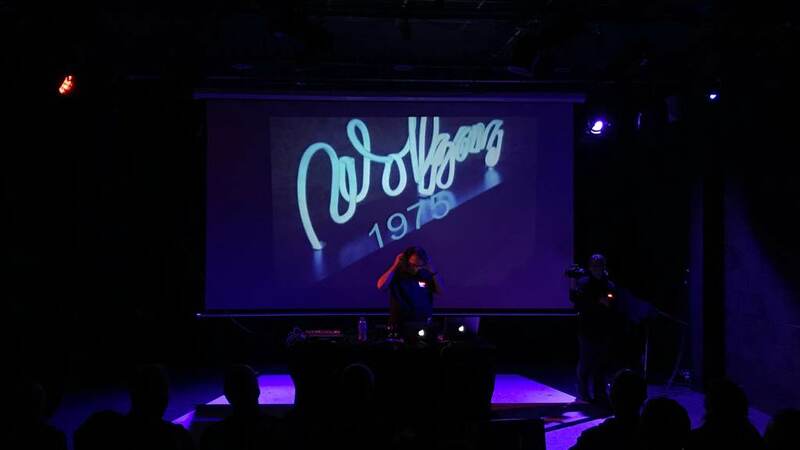 Originally were going to attend An Afternoon With Wolfgang Flur, one of the original members of Kraftwerk, but it turned into a full day of Synth Geekery. This was a late addition to the programme, we were unsure what to expect, but thought we’d drop in on the way to see Wolfgang. 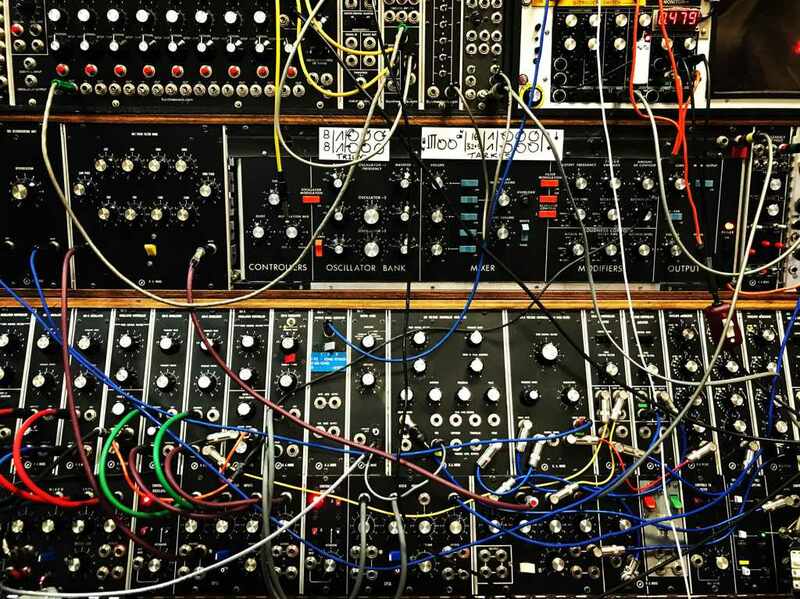 It was a wonderfully amateurish and low key meeting of modular synthesiser fans, one of which brought a complete early analogue Moog along to play, and a few local music stores with a great selection of devices to try out. My son creates his own music with a combination of synths, keyboards and Garage Band, so this was his ultimate sweet shop. It was a delight to see him in his element, to see a 12-year-old confidently chatting with grown men, and getting into the kit on display without batting an eyelid. As a parent, it was an interesting experience to not be the ‘expert’ for the first time, but one I couldn’t have enjoyed more. The afternoon event took place at the Blue Orange Theatre, a cosy little space that held an audience of maybe a hundred, a small stage and a large screen behind. Peter Duggal was support for Wolfgang. I’d not heard his music before, it was great to hear something completely new. 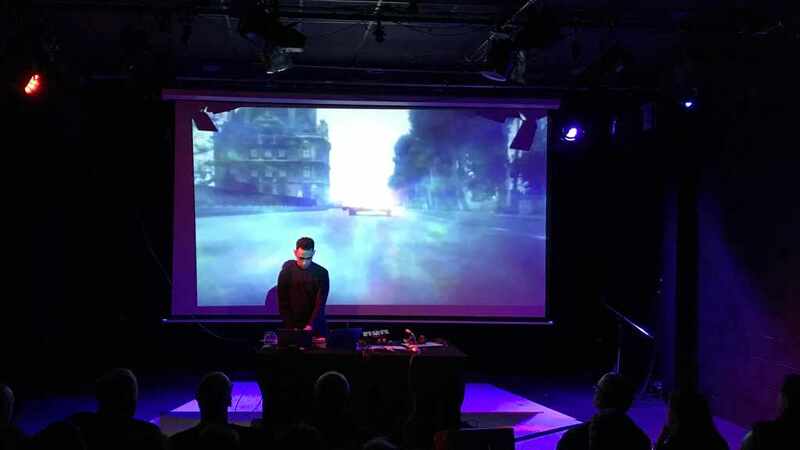 Peter combined his music with visuals brilliantly and performed a great little set. One track I really enjoyed was Birmingham, which feels like a natural extension of 80s era Human League and Gary Human with a hint of New Order. Transpires the hint of New Order is bass provided by the legend that is Peter Hook. The final version with Hooky on bass is not yet available online, it will appear on Wolfgang’s new album, but here’s the demo. Wolfgang Flur is a larger than life personality, his visuals bounced between old footage of Kraftwerk and him marching in front of landmarks wearing a Prussian helmet – a self-proclaimed Musik Soldat. His set was entertaining, with some great remixes of classic Kraftwerk tracks, including a version of Neon Lights with a female vocalist which we both really liked. Wolfgang was due to give a Q&A after his set, but it was obvious my Son wanted to catch the end of the Modular Meetup. We headed back and managed to have a really good play with our favourite piece of kit: the Moog DFAM or Drummer From Another Mother. Which rivals TWAIN for best name in technology ever. On the way home we priced up a DFAM, and at £1600 we’re both going to be saving up our pocket money.